Last year was quite fun in terms of the travels I made. After about 5 years I was back in Japan for a couple of trips. I decided to stay a couple more days in the last one last October so that I could go around and revisit some of my former haunts in Yokohama and Kamakura. Back at Narita’s Terminal 1, I took the opportunity to take more photos at the departure area. 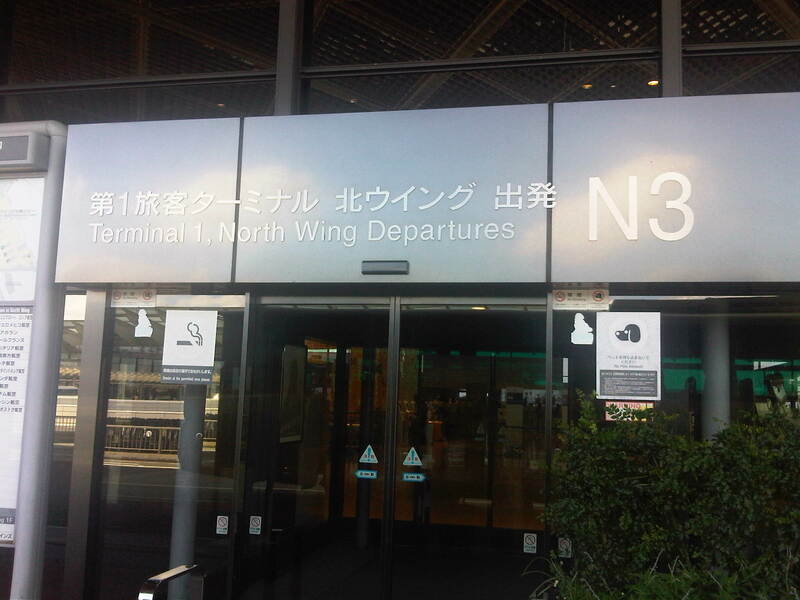 Entrance to the North Wing of Narita Airport’s Terminal 1. Information counter and automated check-in machines with a mosaic column as backdrop. Automated and manual check-in counters at Narita Terminal 1. Automated check-in machines for Skyteam member airlines (e.g., Air France, Alitalia, Delta and KLM). Automated check-in machines at the terminal scan your passport and retrieve electronic ticket information. You can select seats using the terminal and it will issue your boarding pass. You can also upgrade your seat using the machine but you would have to pay for the upgrade using your credit card. 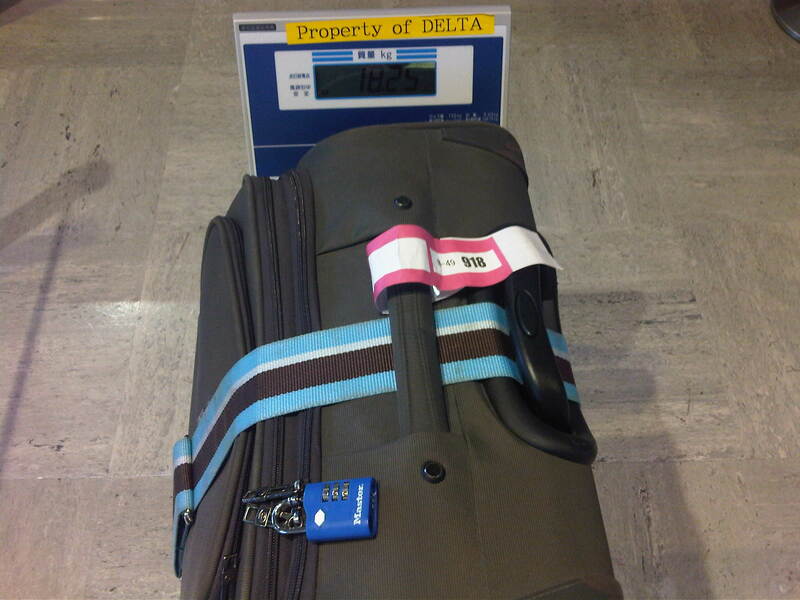 Weighing scales are available for passengers to be able to check if their luggage are within weight limits. My luggage was well within my 23 kg (50 lb) limit. I like to assume that’s because I’m good at packing my things and estimating how much my bags weigh. Entrance to restaurants and shops inside Narita Terminal 1. Tip to travelers: the convenience store on the right sells all those special KitKat chocolates that you can only buy in Japan (e.g., Green Tea, Strawberry, etc.) at slightly lower prices than other stores. The Garden Gourmet Court provides many choices for the hungry traveler. There are also more exclusive restaurants at the airport where travelers, especially tourists, can experience and enjoy Japanese food. The last time I was at the food court, I went for the ramen so I decided to try out another stall. I opted for this one that seemed popular enough judging with the number of people who bought lunch there. When I’m traveling, I’ve learned to first observe which restaurants, stalls or shops seem to have more customers especially locals. That is usually an indicator of the quality of the food though some times its because of the prices (i.e., less expensive compared to others). The chicken karaage lunch set was okay but not as good as the ones I’ve had at the university shokudo or obento shop. I guess the saying “you get what you pay for” applied here. Next time, I’ll stick to the ramen shop. 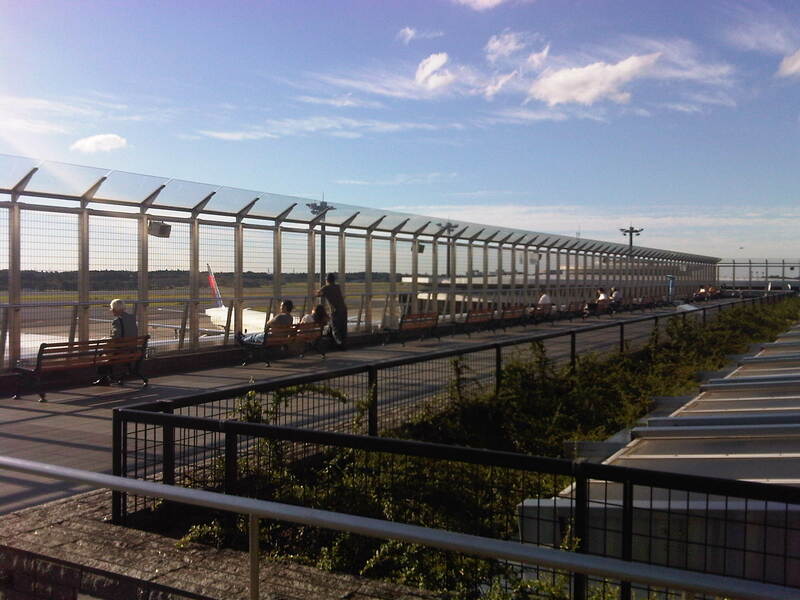 Narita has an observation deck where travelers, their companions or the general public can sit around and maybe watch the aircraft taxiing, taking off or landing at the airport. Delta airlines plane docked at Narita Terminal 1 – those are solar panels installed at the terminal rooftop. It’s pretty windy at the observation deck and this time of year when it’s wintertime in Japan, it would definitely be cold here. By d0ctrine in Airports on January 2, 2014 .